NBC's acclaimed television drama "This is Us" will air after Super Bowl LII on Feb. 4, 2018. NBC has got you covered to watch the Super Bowl! When the Eagles take on the Patriots at U.S. Stadium Bank in Minneapolis, NBC will let users watch the game on desktop, tablets and connected devices (Roku, Apple TV, etc.) without needing to sign in. 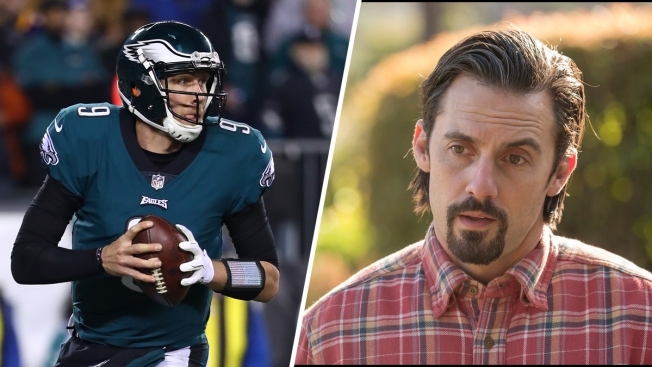 Since the Eagles charged their way into Super Bowl LII, we here at NBC10 have been fielding the same question from viewers over and over: Will you be airing "This Is Us" after the Eagles win? Once NBC Sports is finished broadcasting the Super Bowl (game coverage starts at 6 p.m., by the way), the much-hyped How Did Jack Die? episode of the hit drama will premiere on NBC10. But that doesn't mean that you won't be able to see how the region is celebrating an Eagles victory. NBC10's live championship coverage, "NBC10: This is Philly", will be airing on our sister channel COZI-TV, on NBC10.com, and the free NBC10 app. This unparalleled coverage will include exclusive player and coach interviews, a look at celebrations in and around Philadelphia, and live reports from Minneapolis. Then, when "This Is" Us is over, you can pick up live post-game coverage on NBC10 News at 11 p.m. on NBC10. Since there will be so much must-see TV, it'll be best if you set your DVR for both channels from 6 p.m. through 1 a.m. That way, if the game goes long, or you watch "This Is Us" live, you won't miss a thing. So how can you find COZI so you can set said DVR recordings? Here's the channel listing: Comcast channel 248, Verizon FiOS channel 460, and over-the-air at 10.2. And remember you can always have a two-screen experience by streaming NBC10 live coverage through the free NBC10 app or on NBC10.com.